Bankruptcy law is designed for everyone’s benefit. For the debtor, it offers a fresh start for the honest but unfortunate individual, or breathing room for a beleaguered business to restructure its debts and operations. For the creditor, it ensures equal distribution of a debtor’s assets among similarly situated creditors and the ability to ensure transparent operations of a debtor without piecemeal enforcement of judgment remedies. 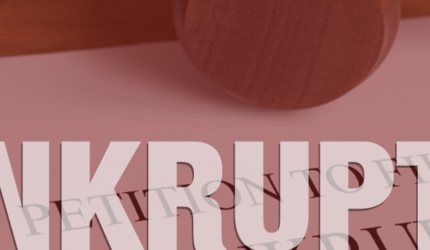 While bankruptcy law is a specialty in its own right, knowledge of the Bankruptcy Code is an essential tool for every transactional lawyer and every civil litigator. The Law Offices of Brian Irion is a debt relief agency as defined in 11 USC §528. As well as representing creditors, we help people file for bankruptcy relief under the bankruptcy code. 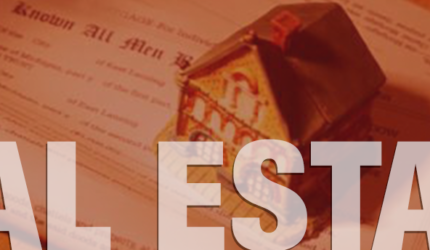 Real Estate Law encompasses both transactions and litigation. By having done both, Law Offices of Brian Irion has gained insights into what is likely to become (and sometimes how to avoid) points of dispute. Business makes the world go ‘round. Business guidance helps it go more smoothly. In Adam Smith’s 1776 work entitled The Wealth of Nations, he describes the “invisible hand” in which each person’s pursuit of his or her own interest in market exchanges helps achieve socially desirable ends as well as maximum efficiency and a Darwinian evolution of goods and economies. The ability to self-regulate and achieve efficiencies is affected by monopolies and oligopolies, lobbying, tax preferences, governmental regulations, and other non-market forces. Today’s business faces all of these obstacles. Well drafted agreements, knowing what can and can’t be done, knowing what to look for (and avoid) in transactions can all have a profound impact on the success of a venture. Who is advising you? 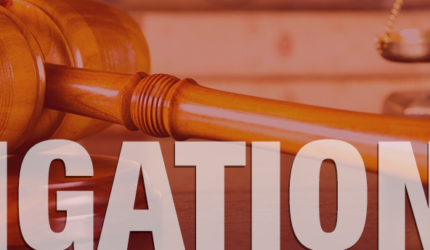 The Law Offices of Brian Irion has represented contractors, lessors and lessees, manufacturers of food and other products, service professionals, licensors, licensees, retail and internet companies, to name just a few. In many smaller companies, corporate formalities are adhered to with less stringent measures. Yet, it is often the smaller companies where shareholder disputes erupt over time, and the failure to adhere to corporate formalities and obligations can result in lawsuits that can cause damage to the company and the relations between shareholders that can sometimes be irreparable. Sometimes, shareholders may feel the board of directors has acted in a manner that benefits the board and not the company as a whole. So, it is best for members of a board of directors to understand their duties. Generally, the corporate powers, business, and property of a corporation must be exercised, conducted, and controlled by its board of directors. Lisle v. Shipp (1929) 96 Cal. App. 264. A corporation does not act through individual directors; rather, it acts through its board of directors. Lomes v. Hartford Financial Services Group, Inc., (2001)105 Cal.Rptr.2d 471. …but it is generally intended that the officers as a group shall be person who execute the decisions of the board of directors and who are always subject to the control of the board. Because of this power in the board and officers, they are held to the highest degree of care and loyalty toward the corporation and its shareholders. A director shall perform the duties of a director, including duties as a member of any committee of the board upon which the director may serve, in good faith, in a manner such director believes to be in the best interests of the corporation and its shareholders and with such care, including reasonable inquiry, as an ordinarily prudent person in a like position would use under similar circumstances. This Court has traditionally and consistently defined the duty of loyalty of officers and directors to their corporation and its shareholders in broad and unyielding terms: Corporate officers and directors are not permitted to use their position of trust and confidence to further their private interests. . . . A public policy, existing through the years, and derived from a profound knowledge of human characteristics and motives, has established a rule that demands of a corporate officer or director, peremptorily and inexorably, the most scrupulous observance of his duty, not only affirmatively to protect the interests of the corporation committed to his charge, but also to refrain from doing anything that would work injury to the corporation, or to deprive it of profit or advantage which his skill and ability might properly bring to it, or to enable it to make in the reasonable and lawful exercise of its powers. The rule that requires an undivided and unselfish loyalty to the corporation demands that there be no conflict between duty and self-interest. 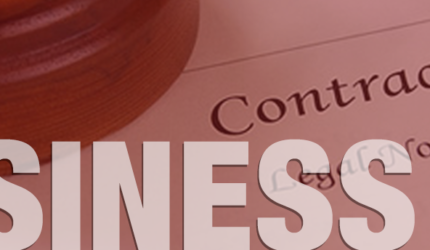 A corporation’s attorney acts on behalf of the corporation, not on behalf of any subset of the corporation. Skarbrevik v. Cohen, England & Whitfield (1991) 231 Cal. App. 3d 692. Even where counsel for a closely held corporation treats the interests of the majority shareholders and the corporation interchangeably, it is the attorney-client relationship with the corporation that is paramount for purposes of upholding the attorney-client privilege against a minority shareholder’s challenge. Hoiles v. Superior Court (1984) 157 Cal. App. 3d 1192. Where a corporation’s board of directors, or officers and managers, breach these duties, they can be held liable to the squeezed out shareholders, or to the corporation for their wrongful conduct.